How to choose the right leaf guard? Choosing the right leaf guard for your home is an important decision as the perfect leaf guard can save endless amount of time spent on cleaning the gutters and the recurring money spent on home maintenance due to damages by heavy rainwater. Leaf guards block leaves, debris, shingles, seeds and pine needles from entering your gutters. The entrapment of these materials blocks the rainwater drainage which leads to overflowing gutters. Box Gutters: they are rectangular in shape, mostly prevalent these days and help to deal with an irregular roof form. The second step to deciding on the leaf guard would be to know the exact problem that you are trying to resolve. Yes, leaf guards help you to keep your gutters from leaf blockage, but what other sort of material would you want to stop from entering the gutter? The size of the material helps to determine the problem, which would help to determine the design details of your leaf guard. Screens: the most common, simple and easy to install which are used mostly for leaves as the holes in the screens cannot block seeds and pine needles. Surface tension: most suited for leave and larger sized debris, with the leaf guard installed at a downward angle to help in downpour of rainwater. Compared to the screens, these require little to no maintenance is is able to withstand unfavourable weather conditions. Fine-mesh: easy to install and can be maintained by blow or brush which help in blocking leaves, seeds and pine needles. 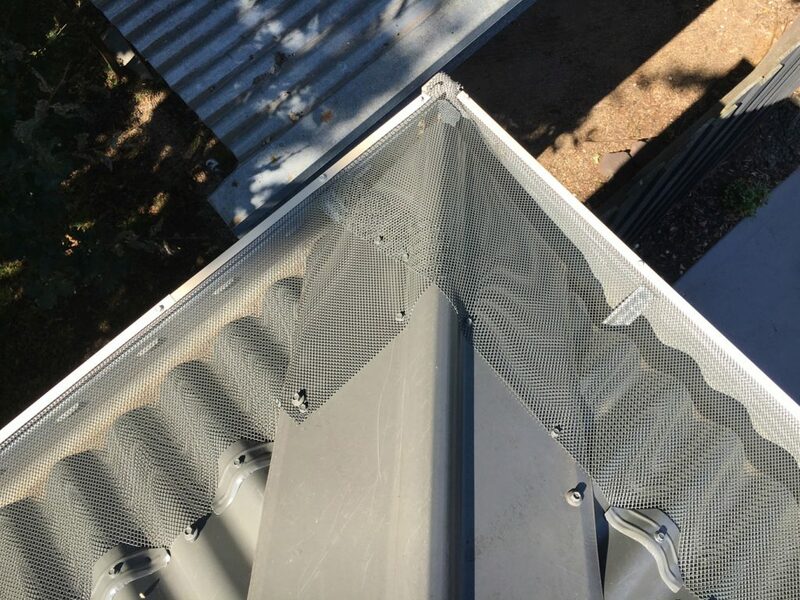 In addition, fine-mesh leaf guard also makes the gutter stronger. CPR Gutter Protection Professionals can help you choose the right leaf guard for your home and also provide you with FREE measure and quotation. Call us today to make the right leaf guard choice for your gutter.